Are you looking for a gift for your child? Or perhaps it’s a friend’s child’s birthday and you have no idea what gift to buy? Worry not, I’ve got you covered for gifts with this guide. 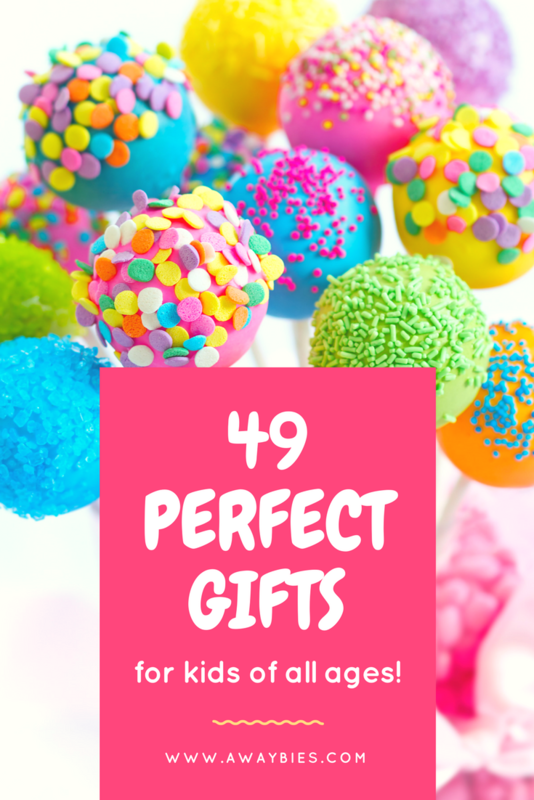 I’ve created a list here of 49+ items, which will help you to easily find a great gift for just about any child! How did I come up with this amazing list, I hear you ask!? Well, just after Christmas 2016 I asked a load of mums in a facebook group what their child’s favourite Christmas present was, along with their age. I was overwhelmed by the incredible response as 250 mums replied! I thought it would be useful to collate all the results to produce this guide. For many of the items I have also provided a link to the item which can be ordered online. But I have listed them according to the results I received from my survey of real parents. I hope you will find it helpful. I know I will! Bubble machine is to be used by an adult, obviously it is not to be operated by or left unattended with a 1 year old! Cosy Coupe is on the list again, as it is still really fun for this age! Any Duplo set would suit this age group, this farm set is just an example! These come in many colours and accessories are available too. Dress up as your favourite vet! This game looks pretty gross but to each their own! My 4-year old loves Transformers and it’s a definite favourite in this 3-4 years category. This game has been around for years and it’s still popular! Actually quite fun for adults and big kids too! In my day I was obsessed with My Little Ponies, and they were actual ponies! These days there are a whole load of dolls purporting to BE My Little Ponies… I’m very confused, but my daughter has an elaborate explanation for it. Anyway these dolls are a huge hit. Hatchimals seem to be the gift of the season, but I can’t vouch for their longevity in terms of play! Remote control toys are great for this age group – and surely everyone needs a remote control crocodile!? “How to train your dragon” is a popular film, here are a bunch of collectible figures. It’s a little pricy but if you’re looking for a bigger gift then this is supposed to be quite good fun – it makes lots of noises (speaks in “Furbish”) and responds to your voice so you can interact with it. Its eyes are animated so it appears to have different expressions. The Furby Connect can also be used with an app, and when there is something new to discover in the app the antenna on its head will light up. Comes in different colours and fur designs. Fuji Instax Mini Camera (I had never seen this either. I must be living under a rock! I might have to buy this or suggest my daughter save up for this! It looks like it would be great for children of many ages from about 6 onwards, and adults too. It comes in lots of great colours too, although Amazon seems to have low stock of certain colours at the moment. If you don’t know what Minecraft is you soon will. It’s a computer game/app that’s become quite a craze, and a very addictive one it seems! This torch looks like one from the game. We have this Lego fire station and it is a brilliant set, I enjoyed constructing it with my 4 and 8 year old). Sadly it’s now been deconstructed by the 2 year old but I’m actually looking forward to re-building it. Bit sad I know! Of course this is a rather special set of Star Wars lego, but there is a huge range which includes less expensive sets. 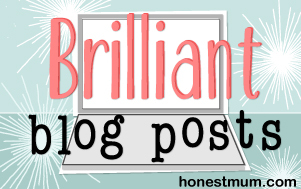 Hope this inspiration list helps you find something just right! I would love to hear more recommendations from parents. So if your kids have an ultimate favourite gift they received recently please let me know in the comments! You can also follow Awaybies on twitter @AwaybiesKids, instagram or facebook. This post contains some affiliate links to amazon.co.uk. If you purchase through the link I do get paid a very small amount, but the item will not cost you any more than normal. Just to reassure you, I only recommend products I honestly like, or in this case, have been highly rated by other mums. Thanks Becky, so glad to hear it might come in useful to you! I for one seem to be constantly hunting for presents for little nephews and nieces, my kids’ friends, and godchildren! This list is amazing! Such a life hack for present buying. I have a two year old and an 8 year old and if I have to buy for a child of any other age I’m clueless, like I figure out what they will like. This is such a life saver! Ooo! I love the owl xylophone! My baby turns one with weekend, and everyone is asking what to get him. I’m telling my parents to get him the xylophone! Thanks that’s a great tip! Who wouldn’t love a red Ferrari, right? My 2-year old son certainly wouldn’t say no! The cosy coupe is a definite winner! We lucked out and got a hand me down from a friend, my 2 year old loves it 😍 How cute about your daughter making cuppatea, so sweet how they really start enjoying imaginative play at this age don’t they!